America’s finest silver is displayed in all its glory with the 2009 American Eagle Silver Dollar. Every year savvy buyers stash these away. Each is struck in one ounce of 99.9% fine silver and graded in almost flawless Mint State-69 (MS69) condition. Grading service varies. This high demand for silver created shortages in 2009 and severely impacted the production of the 2009 American Silver Eagle. The U.S. Mint rationed sales to authorized purchasers early in the year. 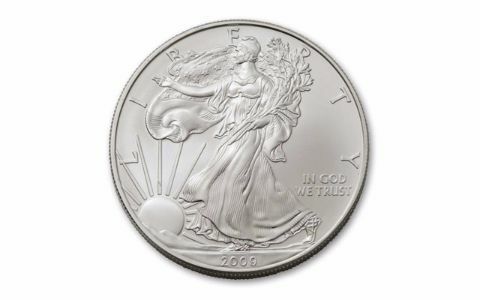 Rationing ended in June, but before the year was over, demand once again exceeded supply, and the 2009 Silver Eagle was again rationed. 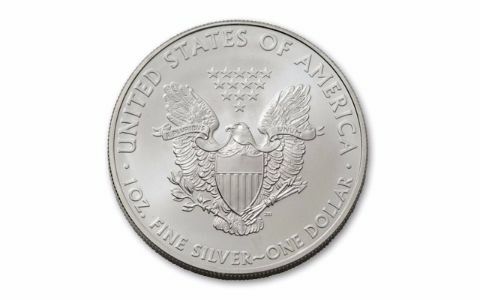 The U.S. Mint is legally required to produce Silver Eagle bullion coins, but there is no such mandate for collectible versions of the Silver Eagle. 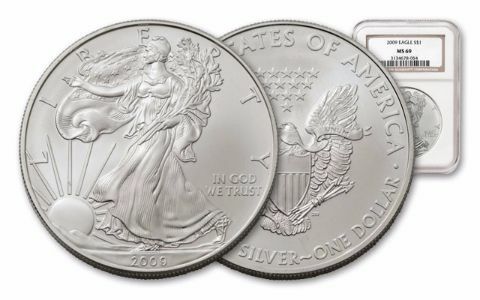 So in order to use all available blanks for Silver Eagle bullion coins, the Mint cancelled production of Proof Silver Eagles and Uncirculated Silver Eagles for 2009. 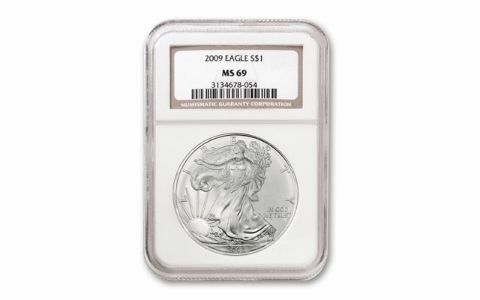 By year's end, sales of Silver Eagle bullion coins reached a new record high of more than 30 million coins sold. In fact, American Silver Eagle bullion coins are one of the most secure, liquid, convenient and beautiful way to own pure silver! They're also the ONLY silver bullion coins whose weight and silver content is certified by the U.S. Government.